The programme being 50 years old this year, it’s sometimes worth adding context to the various eras of Doctor Who. In December 1967 the television schedules included the premiere of The Beatles’ Magical Mystery Tour (who were also at number one with Hello Goodbye) and the first episode of the pre Python comedy Do Not Adjust Your Set. The Prisoner was about halfway through its run and Doctor Who was midway in its 1967/68 season. The Patrick Troughton era stories The Enemy of the World and The Web of Fear were aired between 23rd December 1967 and 9th March 1968. Now we can enjoy them again. Obviously there’s a lot of sentiment around these releases. 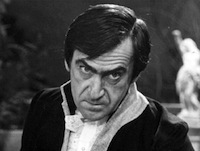 Patrick Troughton’s era has suffered the most, with a horrifying 53 episodes still missing after being wiped by the BBC with the only hope of survival lying in the hands of private collectors or foreign sales. So any find is worth a celebration. The Web of Fear in particular is a legendary Who adventure, featuring the Yeti and the first appearance of The Brigadier. The Enemy of the World is also a welcome find, even if it isn’t exactly such classic Doctor Who. There are no aliens, monsters, robots or any combinations of the above present, although it is enjoyable camp 60s stuff in The Avengers or Bond mould. It also lacks the usual Who cliffhangers that you might expect, and set in Australia in 2018, much of the budget for the season appears to be blown in the first few scenes with the inclusion of a helicopter and a futuristic hovercraft. Of course we must bear the production values of the day, although they are still way, way below The Prisoner and The Avengers which had the foresight of digging deep into the production pockets and shooting in colour. Still, this restoration does a fine job in polishing up the monochrome. Key to The Enemy of the World is Patrick Troughton having a free pass to indulge in a spot of outrageous overacting. He’s cast as both the Doctor and his exact double, the evil Salamander. Yes, we’re in evil double territory. What starts as a possibly interesting idea begins to smart quite quickly, especially as Troughton’s wicked accent sounds too much like Papa Lazarou from The League of Gentleman, although much less sinister. Doctor Who explored evil doubles again a few years later when Nicholas Courtenay played an alternative Brigadier in Inferno, complete with an eye patch to help distinguish the good from the bad. It’s a plot device that tv never likes to ignore for too long, and around the same time Star Trek indulged in their own version of the evil double at least once. It’s something the viewer just has to endure from time to time. Sadly, much of the plot of The Enemy of the World is nonsensical, involving poisonings, shootings, underground imprisoning and the Doctor hiding in a caravan. The episodes follow a pattern of people entering a scene and asking “where is Salamander?” The Doctor also muses once too often “well, I suppose I do look a bit like him”. And this version of 2018 is less futuristic than you might expect, and at one point a character is directed to the nearest public telephone box to make a call. To help things along, companions for both of these stories are Jamie and Victoria, played by Frazer Hines and Deborah Watling. As the longest serving companion, Jamie is synonymous with Troughton’s incarnation of The Doctor, where Victoria is less memorable, coming just before the more interesting Zoe who served to see out the rest of the Troughton era. Victoria is an interesting idea for a character, and plucked from 1867 she may originally served to provide a link to the late 60s Victoriana obsession, although ultimately she does little more than look confused and sound whiny. Other supporting actors include the evergreen Anglophile from the period Bill Kerr, and the great British character actor Milton Johns. The Web of Fear makes better use of the strict budget of the day, and the London Underground settings are very convincing, creating an oppressive atmosphere where the Yeti can be frightening enough a presence by remaining often unseen as various members of the cast run into each other in grim and claustrophobic tunnels. As an over keen viewer, I tried perhaps too hard to spot tell tale glimpses of 60s London in the sets. There’s not much to see. The one identifiable poster on the Underground platforms is for a Rod Steiger and Sidney Poitier film, no doubt In the Heat of the Night although the title is Block-Busters. In the only exterior scene, the army lose a battle with advancing Yeti in deserted streets. Yes, 60s London! It’s also interesting to note that both stories literally run into one another, with the nasty Salamander being sucked out of the Tardis at the end of The Enemy of the World, we pick up The Doctor, Jamie and Victoria desperately shutting the doors to escape the same fate at the beginning of The Web of Fear. Straight into the next adventure without a pause, although The Doctor finds a moment to make himself a sandwich. Episode three of The Web of Fear is still missing, but as an audio survives this accompanies a montage of images. For one episode it works rather well, in fact less grating than the animations used for the missing parts of 1968’s Cyberman London adventure The Invasion. Nicholas Courtenay also makes his debut as Colonel Lethbridge-Stewart, later to be promoted to Brigadier when the whole UNIT concept took shape. The Web of Fear starts to form the blueprint for the Doctor Who format in the first part of the 70s, with the dominant military presence and Earth bound stories (Indeed, Troughton’s Doctor remarks knowingly to Jamie and Victoria that they have an increasing habit of landing the Tardis back on Earth). Lethbridge-Stewart is noticeably odd in his first appearance, a more ambiguous character than I remember him being; at first his fellow troops don’t know who he is, and he adds something of a mad-eyed stare and the most unusual of military hats. Perhaps the later promotion made him more relaxed and ironed out, but it’s interesting that he’s portrayed here as very much an outsider as the Doctor. Maybe this is what formed their bond. Supporting actors include Jack Watling reprising his role from The Abominable Snowmen as Professor Travers, more than 30 years later for him but only several weeks for the time travellers. It’s a timey-wimey thing, although 60s Who wasn’t so dragged down with such trivialities. Tina Packer is quite good as Anne Travers, and a recent Companions magazine adds her to a small list of one-time assistants. Apart from the obvious title music, there’s little additional in the background apart from the eerie use of Music for strings, percussion and Celesta by Béla Bartók. If you recognise this it’s probably because it’s also featured in The Shining. The Web of Fear was followed by Fury From the Deep in March 1968. Sadly, this story is still completely missing. The news was leaked recently by The Sun that John Hurt would be playing a mystery incarnation of the Doctor in November’s 50th anniversary special. This Doctor would apparently fit somewhere between Paul McGann and Christopher Eccleston in chronology, a version of himself he’d denied existence of. 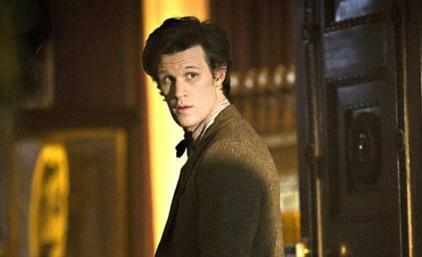 For perhaps a horrible reason, and the closing moments of The Name of The Doctor appeared to suggest that Matt Smith’s Doctor was somewhat afeared of John Hurt’s Doctor. In only a very brief appearance John Hurt was I thought marvellous. Unsurprisingly a commanding presence, and matched against Tennant and Smith in November the words “eagerly anticipated” are something of an understatement. But is this a true incarnation of the Time Lord, meaning that Matt Smith is actually the 12th Doctor, or is Hurt somehow an older version of McGann’s 9th Doctor? But then why do the photos from Hurt on set show him wearing a version of the leather jacket Eccleston costume? Let the speculation begin. Casting an older actor again after so long is interesting, and perhaps as a taster for this William Hartnell was glimpsed fleetingly throughout The Name of the Doctor. And if Hurt’s Doctor is anything to do with The Time War, it’s perhaps deliberately complimentary to Derek Jacobi’s equally elderly version of The Master? Season seven has been peppered with references to parents, daughters and granddaughters. Susan Foreman was referenced briefly in The Bells of Saint Joan. Clara’s past reveals that her mother died when she was young in The Rings of Akhatan. The Crimson Horror explored a particularly odd mother/daughter relationship. Probably others too that I’ve missed to add to the theme, but the clues appeared not to lead anywhere. Or to really be clues at all. And Susan Foreman is really only meaningful to either die hard or long term fans of Doctor Who. My own daughter was completely baffled by the opening scene of The Name of The Doctor, which jumps back to the pre 1963 Hartnell stealing the Tardis. Steven Moffat doesn’t let this dominate the story as it would alienate a large number of fans, but I think there is enough here to explain a core Who mystery. It’s a credit to Moffat that he’s obviously had this on his mind for some time, but keeps it secondary and subtle. Why do I think this? In the opening scene, Clara confronts the Hartnell Doctor as he is about to steal the Tardis. He responds with a customary and typically gruff Hartnell “yes, what do you want?” Clara explains that he is about to make a terrible mistake. A couple of night watch Time Lords see two shady figures on a grainy Gallifreyan CCTV, the “found footage” of The Doctor’s very first adventure. Later in the episode, with copies of Clara now spread across space and time like confetti and a sort of understanding now spread of what’s going on with her, we see more of this encounter when she advises The Doctor to steal a different Tardis to the one he had in mind. The two of them, in my eyes, elope together on a whim. Clara really does “save” The Doctor. It’s a fez. I wear a fez now. There were times when I thought that the new series of Doctor Who would never kick in. Maybe you could call it Steven Moffat nerves, where it felt it was taking far too long to gain any faith in the new helm of the show. Then there was Matt Smith, likeable from the outset although I still wanted to move away from uncertain mutterings about him to the point where I was hanging on his every word. Now after watching the final episode The Big Bang I can relax in the knowledge that it was brilliant, glad that I didn’t post any unfavourable posts in the last thirteen weeks that I’d have to go back and rewrite (something in the Doctor Who world of complex timelines I probably would have been allowed to do). It probably wasn’t until the two parter The Time of Angels/Flesh and Stone that I began to relax with this season. The return of The Weeping Angels and Alex Kingston as River Song made Moffat’s epic tale deliver all that it promised. It wasn’t a return to Blink territory that many may have expected, although the writer had hinted that this was like “Aliens” following “Alien”. Taking the original premise and multiplying it several fold; Weeping Angel lore was gloriously played around with, most notably the legendary “don’t blink” being turned around into “don’t open your eyes”. There were many clever aspects to this. When Amy Pond first sees the Weeping Angels she instinctively doesn’t look away. There was also the notion of “the angel’s image becoming the angel”, and that we first see the Angels on a tv screen, which was a subtle reminder of the Doctor being on a screen himself throughout much of Blink. Perhaps I was over-analysing, but I’d say evidence that Mr Moffat had been really thinking about this one. Other season highlights were The Lodger, where I realised I wasn’t quite sick of too much James Corden, and this episode drew out the very alien side of The Doctor, particularly in the hilarious scenes where he attempts to bed down to human normality. Vincent and The Doctor also worked for me, overcoming early reservations about Richard Curtis. Less appealing was Amy’s Choice (it was all a dream! And another dream! ), Vampires in Venice (simply tedious) and the Silurian two-parter, although this one helped me to reassess Rory. 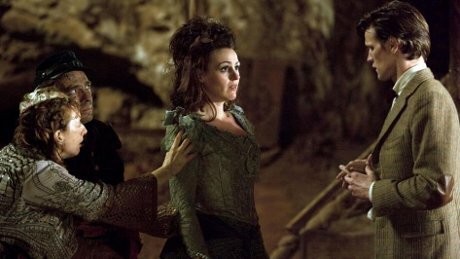 After thinking of him as a Mickey Mark II (and therefore an unnecessary addition) his sudden demise was very moving, and set up his return in The Pandorica Opens rather cleverly. And even if you think that the idea of Rory as a Roman Centurion guarding Amy for two thousand years was a little too far fetched .. well .. where’s the romantic in you? 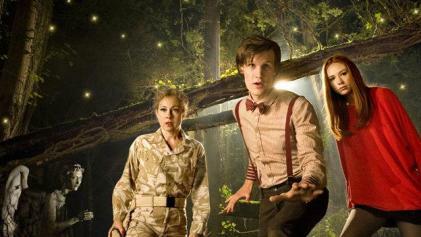 The best by far was the concluding episodes, and Arthur Darvill as Rory exceeded all expectations. For The Doctor, Amy and the viewer. What was surprising was how the series as a whole, appearing a little shaky at times, suddenly pulled together towards its end, making it clear that this was indeed a cleverly devised story arc. 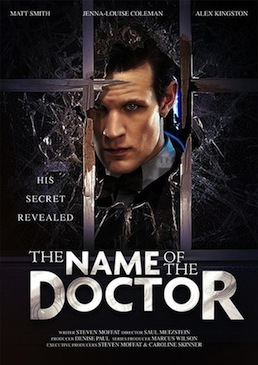 The opening scene of The Pandorica Opens linking Winston Churchill to Van Gogh was a masterstroke that set the pace where Doctor Who‘s timey wimey theme was pushed to the limit, most beautifully achieved in the scene where The Doctor scrolls back through past episodes, finding himself once again in the forest of Flesh and Stone. The fairy tale theme, set up skilfully in the opening episode, played out rather beautifully at the end, my favourite sequence being The Doctor carrying the sleeping child Amy up to her room. And Moffat thankfully steered away from the bombastic season finales of old, where perhaps his predecessor may have given in to a full scale Dalek/Cyberman/Sontaran freak out. The little things won us over. So the answer is yes: I was hanging on Matt Smith’s every word by the time we got to The Big Bang. He really does suit the part, the odd thing being I’m not really sure why. Perhaps it’s the sheer potential of him; now that the future writers are lined up they can work with much more of a brief than wears a bow tie, talks quickly, floppy hair. Smith’s confidence also appeared to grow at a noticeable pace this series. Is he a better Doctor than David Tennant? Thinking about the previously penned Moffat episodes, Blink and Silence in the Library in particular, I think that he always wrote for his view of how the Doctor should be. There’s a scene in Silence in the Library where Donna and River are discussing him, The Doctor busy in the background; crouching down, peering into the darkness, adjusting his sonic screwdriver. Acting rationally in his own mind but receiving rolled eyes from others. That’s very much Matt Smith’s take on The Doctor. But they should have let him keep the fez. My plan to review every single episode of Doctor Who Season Five was dashed early by my disappointment with the second story The Beast Below. Rather than deliver a moany post about how the much anticipated Moffat has appeared to take up the reins of the worst of Russell T. Davies’ traits (the constant time loop of the human race, or specifically the English, on a spaceship again and again in the distant future), I’m moving swiftly on to episode 3, Victory of the Daleks. 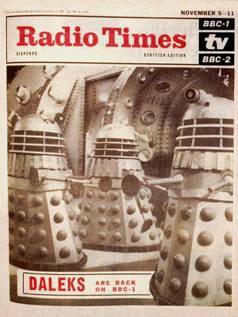 Since their very first “return” when they invaded the London of the future in 1964 the Daleks have graced several Radio Times covers. Menacing The Doctor in black and white or colour, hiding behind The Ogrons or being ordered about by an increasingly tetchy Davros, they’ve remained more or less the same. Dav … I mean Terry Nation’s original blueprint had the stamp of genius. We know them, and we know what they’re after. Their means and the setting change slightly. And if it ain’t broke … well, we’ll come to that. 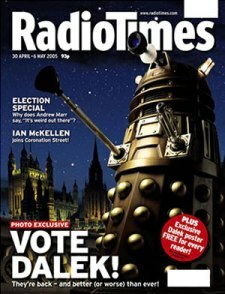 The latest Dalek return was penned by Mark Gatiss, a writer I’m particularly fond of since his League of Gentlemen days and more recently the wonderful Crooked House. Gatiss was responsible for Season One’s The Unquiet Dead which featured Simon Callow as Charles Dickens and The Idiot’s Lantern from Season Two. In Season Three he took an acting role in The Lazarus Experiment. 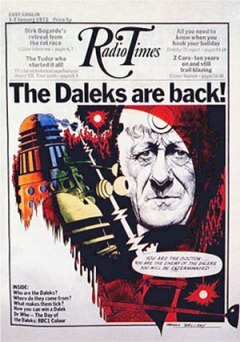 Victory of the Daleks marks a promotion for him in being handed control of the Daleks or, as referred to in this episode, Bracewell’s Ironsides. For me, Victory of the Daleks was where the jury returned to deliver its verdict on the new Doctor Who. Any good, m’lud? Well, the episode was noisy and bombastic, in particular with the excrutiating background music that accompanies every scene. There are no quiet moments in Season Five, and it is particularly irritating that the softly spoken Matt Smith is often drowned out. The 40s setting was novel, but perhaps not novel enough as memories of the superior The Empty Child , which introduced Captain Jack in his iconic Word War Two coat, are still fresh in the mind. Ian McNeice made an interesting, although unconvincing, Winston Churchill. Bill Paterson provided better support as Dr Bracewell. As for continuing Dalek folklore, Gatiss dealt well with the increasingly awkward business of resurrecting our favourite nasties, who just won’t stay away. On a graph of Dalek resurrections, Victory of the Daleks was on par with the Davros episodes of 2008 but far below the Ninth Doctor’s encounters with them in 2005 and the 2006 Dalek vs Cybermen story that ended Season Three with Doomsday. Victory of the Daleks was very much Dalek lite, bringing them back to pave the way for future encounters. Although I must say the dashing of the just when you thought all the Daleks were gone comfort zone is becoming a bit of a cliché.